I now have a page for the blog on Facebook so mosey on over and like it. Liking a page triggers an alert when new posts appear. Click the image to go to the page. The Father of Psychiatry, Benjamin Rush (1746-1813), signed the Declaration of Independence and was a delegate to the Constitutional Congress. Rush was good friends with both Thomas Jefferson and John Adams. Despite his universalist beliefs, he is a favorite of David Barton and other Christian Nationalists because he was a founder who articulated many Christian interests and pursuits. I thought of Rush after reading a World Net Daily article today by John Aman criticizing Coral Ridge Presbyterian Church pastor Tullian Tchividjian for avoiding culture war issues in the pulpit. Specifically, I thought of Benjamin Rush’s response to Thomas Jefferson’s famous “altar of God” letter to Rush. Michael Coulter and I deal with this exchange between Jefferson and Rush in our book Getting Jefferson Right: Fact Checking Claims about Our Third President. In his article, Aman cited Barton and others to claim preachers should preach about political issues. However, Rush told Jefferson in his October 6, 1800 letter, Saint Paul would tell modern preachers to “cease from your political labors.” Rush’s position is not unlike Tchividjian’s. On August 22, 1800, Jefferson’s friend and fellow signer of the Declaration of Independence, Benjamin Rush, wrote to Jefferson asking for a clarification of his religious views. At their last meeting, Rush had extracted a promise from Jefferson to read William Paley’s book, A View of the Evidences of Christianity. In addition, Jefferson apparently promised to explain his “religious Creed.” As of that writing, Jefferson had not complied with the request. Jefferson does not address Rush’s proselytizing but instead described his frustration with his critics and his opposition to establishment of Christianity “through the United States.” Rush then wrote back on October 6, 1800 in order to clarify his views on religion and the state. Throckmorton, Warren; Coulter, Michael (2012-05-01). 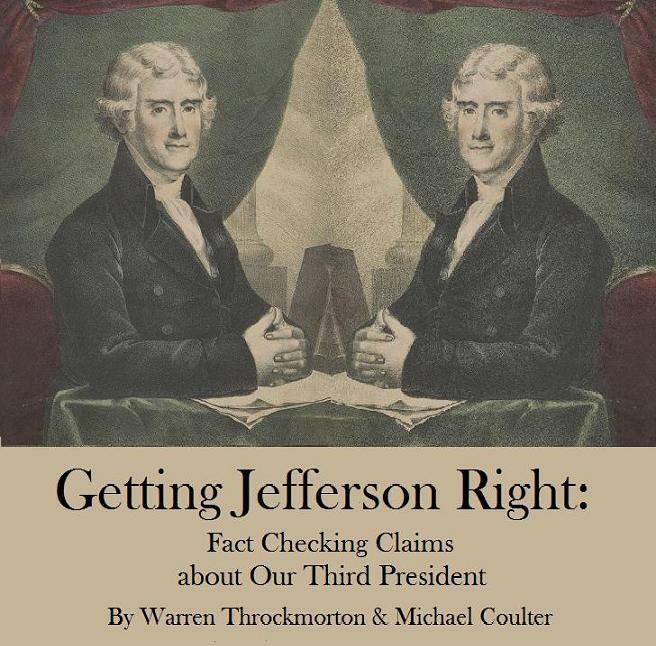 Getting Jefferson Right: Fact Checking Claims about Our Third President (Kindle Locations 2267-2328). Kindle Edition. Rush believed that Christianity supported the republican impulse. He did not express support in this letter for clergy being active in “political labors.” Rush paraphrases St. Paul as declining to work toward political positions for Christians. It appears that Tchividjian and Rush have something in common. Ruth Moon writing for Relevant Magazine interviews Jennifer McKinney, Gerry Breshears, Samuel Rodriguez, Francis Chan, Kate Bowler, and William Vanderbloemen to seek answers to her question. Seems like it all comes down to celebrity and business. Don’t worship the pastor and don’t make church a business. While those are two important components, I hope there is more to learn than that. o James MacDonald, Darrin Patrick and Larry Osborne. o Gerry Breshears will serve as a theological accountability/consultant to Pastor!Mark. o Dr. Catanzaro will serve as health accountability for Pastor Mark. In December 2013, when I contacted Gerry Breshears about plagiarism in his book with Driscoll, he told me that Driscoll’s apology via Tyndale House about Call to Resurgence was sufficient, even though Driscoll never addressed plagiarism in subsequent books. So Mars Hill was the brand? Those familiar with the church, especially those in the media and communications team, know that Driscoll called himself the brand. The article is interesting and I appreciate the observations but I think former members should have been interviewed. Their voices are missing. They are still waiting for the shell of Mars Hill Church to provide answers and accountability to be learned. Vanderbloemen mentioned the church succession plan. Here it is. Former Mars Hill Church spokesperson offers advice to churches on how to handle the press in his new gig with Ministry Communications Association. He certainly has had experience doing so and it appears he has taken some valuable observations away from his time at Mars Hill. When I read this tip, I thought of the ResultSource New York Times Best Seller list fiasco. If you know press may start poking around about a certain topic, gather your team and come up with approved messaging and basic principles ahead of time. That way your spokesperson can be prepared. It’s a good idea to write down approved answers to common questions about your church’s beliefs, and have those well prepared in advance as well. This is the third reaction from Driscoll/Mars Hill to the ResultSource scheme. First, Justin Dean told World Magazine that the RSI-Mars Hill relationship was an “investment” and an “opportunity.” Then the Board of Advisors and Accountability said the scheme was “unwise.” Now Driscoll says he first saw it as a way to maximize book sales, but now sees it as manipulative and “wrong.” The vacillation about whether gaming the system is a good opportunity, unwise or wrong is confusing and won’t do much to convince people that Mars Hill and Driscoll can be candid. It appears that there was an internal struggle about how to message the revelation to the public. I have asked Justin about the discrepancies and will add any information from him to this post. The bottom line advice is to have a pastoral staff that doesn’t place the PR person in a position to defend the indefensible. I remember when I was playing basketball, the college stuff that we did. We started every day with a five mile run, then we lifted weights, then we had an hour of racquetball, then we had two hours of full-court basketball, then we came back for another run. It wasn’t particularly enjoyable, but in those years, our college team set the NCAA record for two years in a row for most points scored. We averaged 105, 104, 103 points a game, I forget what it was. But you had to run a lot, it wasn’t a lot of fun, but you get the results. Barton graduated from Oral Roberts University in 1976. Right Wing Watch writer Kyle Mantyla looked up the roster from those record setting years and did not find David Barton’s name. Anyone can check the roster for ORU basketball at the ORU athletics website. Wondering if perhaps there was a J.V. team or if he played some other year, I called Oral Roberts University’s Public Relations’ Office to ask if Barton ever played basketball for ORU. According to the PR Office, “After checking with the Athletic Office, there is no record of a David Barton ever playing basketball for ORU.” While it is possible that Barton played intramural basketball, he is not listed on the varsity roster for any season. In his speech at Charis, he makes a clear connection between the workouts he says he was a part of and the record setting teams of the early ’70s. Is the Brian Williams disease going around? Recently, the Secretary of the VA McDonald said he was in Special Forces and had to admit he wasn’t. I wonder what Barton, an Oral Roberts University Board of Reference member, will do about this. Another interesting aspect of this report is Michael Peroutka’s spokesperson: Peter Waldron. “Councilman Peroutka’s policy is not to comment on ongoing investigations,” said Peroutka spokesman Peter Waldron in an email to WUSA9. Could this be the same Peter Waldron that worked for Michele Bachmann’s failed run for the Republican nomination for president in 2012? What Really Happened In the Settlement of David Barton's Defamation Suit? The more publicized of the two defamation lawsuits we won was the one where David was labeled an anti-Semite, racist, and white supremacist. But the second lawsuit we won addressed the false claims that David’s works are widely discredited, that he is an admitted liar, that he makes up his history, etc. During our respective campaigns in 2010 for separate positions on the Texas State Board of Education, we published a video entitled: ”A True Tale From Texas,” that created a false impression about David Barton. The purpose of that video was to discredit our Republican Party political opponents on the State Board of Education, and those on whom they relied, by depicting their position as politically extreme and detrimental to education. Thus, the video stated that David Barton, who advised the State Board of Education, is known for speaking at white supremacist rallies. We believed that statement had been fact-checked by our political consultant, Scott Garrison, who relied for confirmation solely on information provided him from The Texas Freedom Network. As professionals in education and the proper use of language, we understand that this statement suggested that David Barton is a white supremacist, and that the two organizations he is affiliated with, WallBuilder Presentations, Inc. and WallBuilders L.L.C., were associated with or supportive of white supremacists. After learning more about Mr. Barton, we realize this statement was false. We separately and jointly apologize to Mr. Barton for damage to him individually and to his two organizations as a result of that statement. So after that having gone on for a number of years, we decided to take some folks into court on those two major claims, that we make up our history and it’s all inaccurate and that we’re white supremacists and anti-semitic. And going through the court process, we went all the way to the Texas Supreme Court and came back to District Court, and at that point, the folks settled the case and the court entered a large judgment with a validation of, no the defendants admit that he is not a racist, he’s not anti-semitic, he doesn’t make up his history, and so that’s what we were after was getting some validation that allows us to push back on them when they start telling people you can’t trust Barton because he makes up all his history. No, you can trust him because here’s the original documents posted on the website. He made it sound like the apology included vindication of his historical claims. However, the apology only covers the white supremacy charge. Now Barton says he won a second lawsuit about his historical claims. In the email, Barton asked his supporters to go on blogs and websites and take up for him. As a reference, Barton linked to a World Net Daily article by John Aman on his settlement. In that article, Aman says Barton won a second lawsuit. Smith was a no-show throughout the lawsuit, disappearing shortly after Barton sued him in September 2011. Barton’s legal team hired a private detective and published notices in Texas newspapers statewide in an unsuccessful attempt to find the elusive writer. Three years later, a Texas court found Smith’s assertions about David Barton both false and defamatory. A review of Parker County, TX court records tells a different story. Something does not add up. The first case (#CV11-1349) is the case where W.S. Smith is first named as a defendant but then later dropped from the case. It was filed on 9/1/2011. The second case (#CV14-0922) was filed just against Jennings and Bell-Metereau, probably for the purpose of settlement. Note that the second case does not have W.S. Smith’s name on it. Smith was dismissed from the first case and not a part of the second. Barton has now claimed that he won a second case; WND said the same thing. Where is the case? Who was involved? The Parker County records don’t support the narrative in Barton’s email or the WND article. In a future post I will examine whether or not Barton really won a million dollars. To find the cases, go to Parker County’s website portal to look up judicial records (link). Click “Civil Records” and then you will come to a search screen. Enter David Barton’s name and click “Search.” You will come to the screen that looks like the image just above. Click on the case links corresponding to the Wallbuilder Presentations, etc. versus the defendants. Author Warren ThrockmortonPosted on February 23, 2015 Categories david barton, history, ReligionTags david Barton, defamation suit, Judy Jennings, Parker County TX, Rebecca Bell-Metereau, W.S. SmithLeave a comment on What Really Happened In the Settlement of David Barton's Defamation Suit? We’ve been getting a lot of publicity from the media for announcing that we are going to hold a public celebration of Lincoln’s assassination, but it is something that many of us have done privately for years now. Note: This event will be held in Baltimore on April 11th. It is pretty much our equivalent of Martin Luther King, Jr. Day. Contact me for details. Maryland is home to the Institute on the Constitution and former League of the South board member Michael Peroutka. In addition, IOTC senior instructor David Whitney is chaplain of the Maryland/Virginia branch of the League. I wonder if Rev. Whitney will offer prayers at the event. Michael Peroutka once said the Institute on the Constitution led him to involvement in the League of the South. Perhaps the IOTC could offer a session on the constitutional basis for assassination. As do other websites, Matt Barber’s “news” website BarbWire runs many articles which are provocatively titled. One late last week caught my attention, in part because of the irresponsible title and in part because the graphic misquotes President Obama. 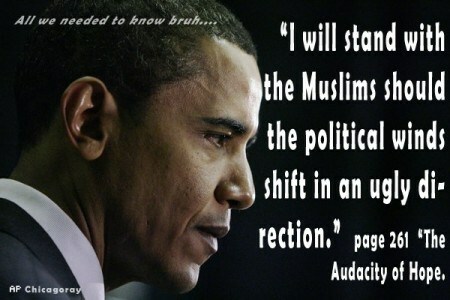 President Obama met with American Islamic leaders in early February at a secret White House meeting, and what those involved revealed through their subsequent actions is that Obama hosted that meeting in order to design and implement coordinated [verbal] attacks on Christians. As it turns out, a Muslim comedian and two people in the administration seemed to say similar things about bad things done in the name of Christianity after this meeting. As far as I can see, the administration wants to keep the war on ISIS a political event and not collaborate with the opposition to make it into a holy war. In any event, as a Christian, I am not offended when people point out the truth that Christians have done horrible things in the name of Christ. I am grieved by that fact but don’t feel attacked. In short, no individual Christian has been attacked via this so-called coordinated effort. The President doesn’t focus on religion and pledges to oppose internment of Arab Americans. I would take the same position in the face of any such proposals. The graphic misquotes Obama and takes his words completely out of context, leading to an implication at odds with what he said. The article doesn’t prove anything nefarious and certainly doesn’t prove that the President coordinated any attacks on anyone. The graphic is false, completely irresponsible and turns the article, such that it is, in an ugly direction. It should be removed. This is not much of an improvement as it makes it appear that Obama somehow represents organizations which support jihad. In this Glenn Beck appearance, Beck and Barton agreed Jefferson bought the Quran to see what they believed as a consequence of the war against Muslim nations. Barton said he got it in 1806. Again, it was Barton who revised history. It was nice of Beck to help Barton try to extract himself from the false narrative he told audiences in the past, including Beck’s. As you will see if you watch these clips, Barton claimed that Jefferson purchased a Quran in the 1780s to help him understand his Barbary enemies. 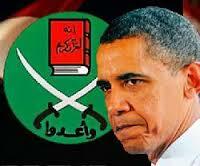 However, Jefferson first purchased a Quran when he was studying to be a lawyer in 1765. His interest was academic most likely, in that he wanted to understand other traditions of law. Barton says he purchased it “from an apologetics standpoint,” however, I know of no evidence to that effect. Barton in the Beck video above tap dances around the fact that Jefferson owned the Quran prior to negotiating with the Barbery nations in the 1780s. He also implies Jefferson may have had the edition in 1746. Actually he purchased the 1764 version just after it was published. *Beck began the show discussing Barack Obama’s claim that Islam has been woven into the fabric of the nation since the founding. That claim is unfounded as well. There were Muslims here but “woven into the fabric?” Jefferson and other founders were interested in Islam and Jefferson in particular believed that religious liberty included all religions included Islam. However to say that Islam was “woven into the fabric” is not supported anything I have seen. By the way, I can’t find anything Barton mentioned at Islam101.com. 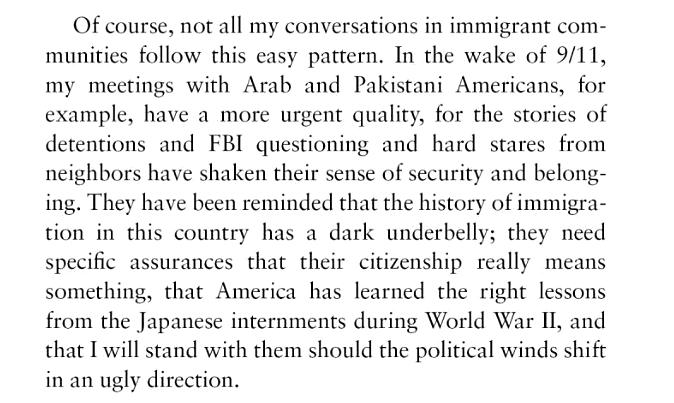 Thanks to commenter J.J. for pointing out where Barton got his information on Muslims in U.S. History. Another problem with this segment is Barton’s claim that the Atlantic slave trade was due to Muslim slavers. While Muslims were involved in the trans-Saharan slave trade and sold slaves to European traders, it is ridiculous to insinuate that American slavery was primarily due to Muslims. Europeans also captured slaves and there would have been no slave trade if not for the demand in North and South America. All those who criticize President Obama for his inaccurate statements regarding Islam need to be consistent and hold David Barton and Glenn Beck to the same standard.